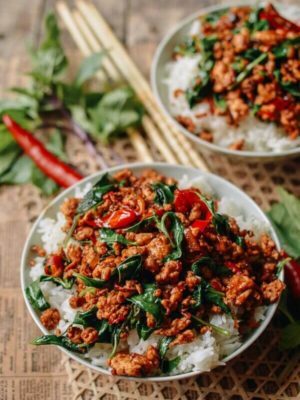 Vegan char siu bao or cha siu bao (i.e. 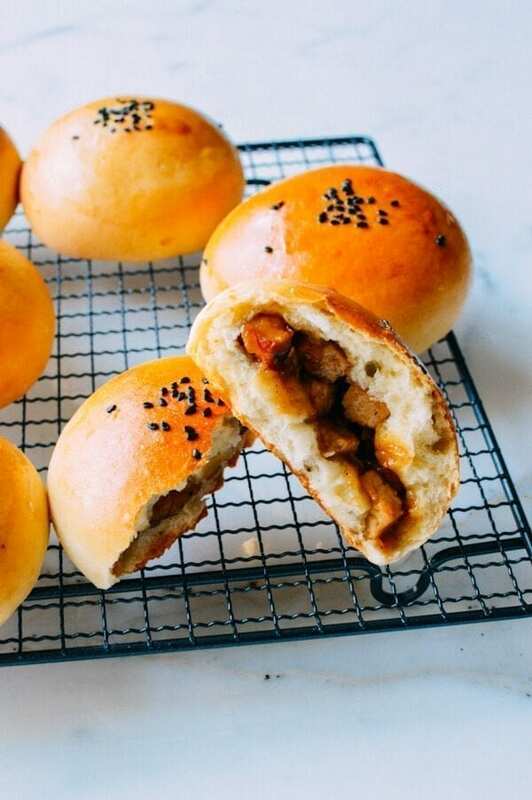 vegan roast pork buns). Does that even make any sense? Well, yes and no. Obviously, there is NO pork in these buns. But they taste remarkably similar to the traditional pork cha siu bao that many of us know and love. 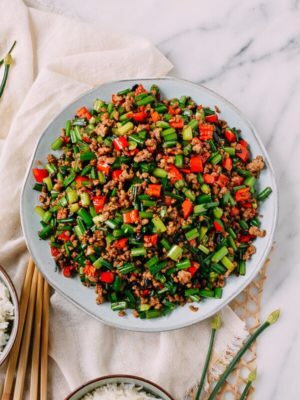 So, if you’re looking for a great vegan Chinese recipe or vegetarian appetizer, then read on! 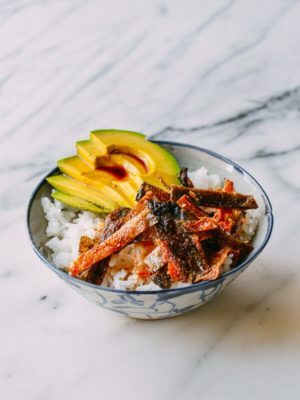 The vegan char siu bao filling is made with tofu, and the bun dough, which is normally made with milk and/or heavy cream, is fattened up with healthy, organic (and vegan) coconut oil. 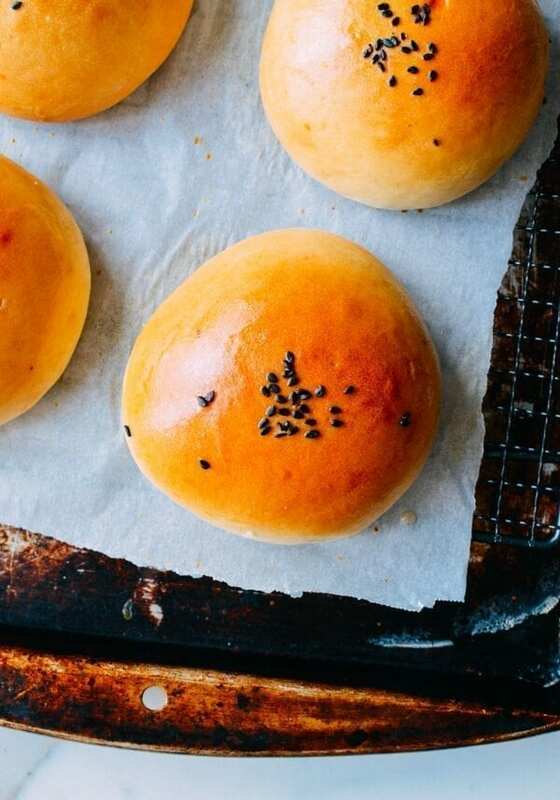 The result is soft, buttery bread that can really stand up to traditional Asian milk bread. 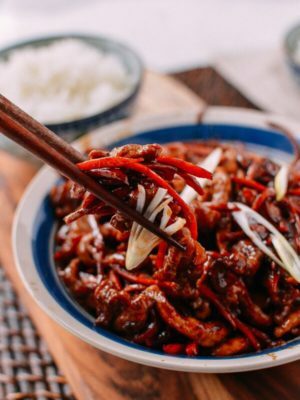 That’s the real magic of this recipe–no dairy needed to produce the authentic taste of a Chinatown roast pork bun. 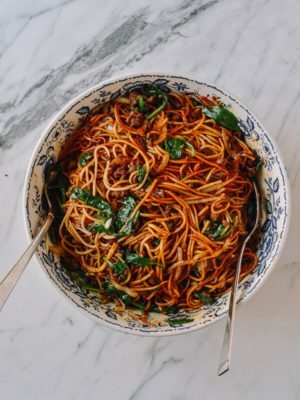 Whether you’ve always been vegan, or are a recent convert, these buns are definitely for you. Start by making the dough. Add ½ cup warm water, 1 teaspoon active dry yeast and 1/3 cup flour to a large bowl, and mix well. Set aside in a warm place for 15 minutes until the mixture foams up. Mix the coconut oil into the foamy yeast mixture until you can’t see any solids and then mix in the remaining 1/2 cup of warm water. Add the last 2 2/3 cups flour, vital wheat gluten, sugar, and salt. Mix in until a dough forms. Knead for 10 minutes. 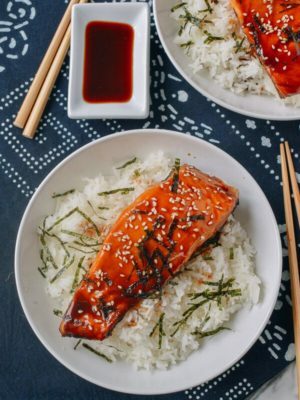 You can add some flour to make it easier to work with, but don’t worry if it’s a bit sticky. Cover with plastic wrap and let it proof for 1 hour. While that’s happening, make the filling. 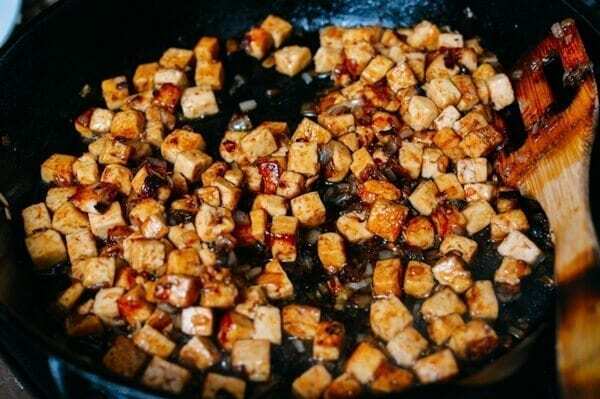 Heat your wok or cast iron pan over medium-high heat and add the oil, onions and tofu. 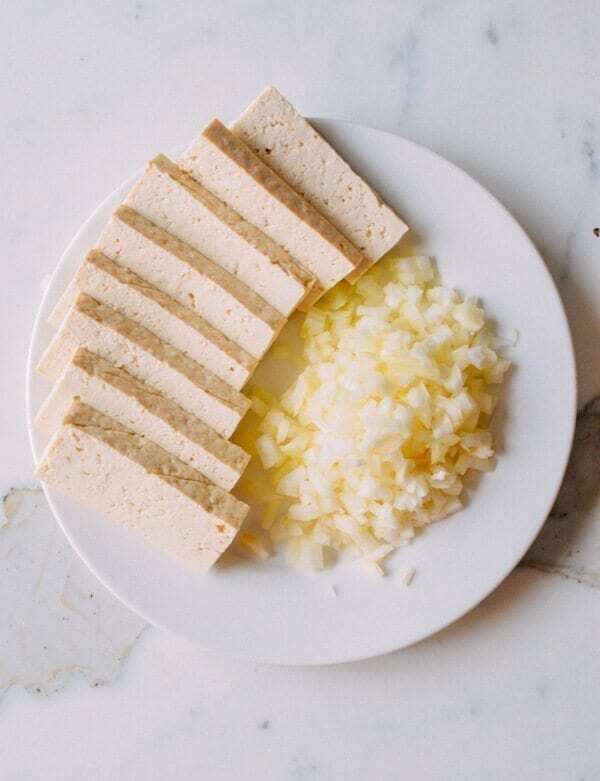 Cook for 3-5 minutes until one side of the tofu is just browned. Turn the mixture over with a rubber spatula and brown the other side. 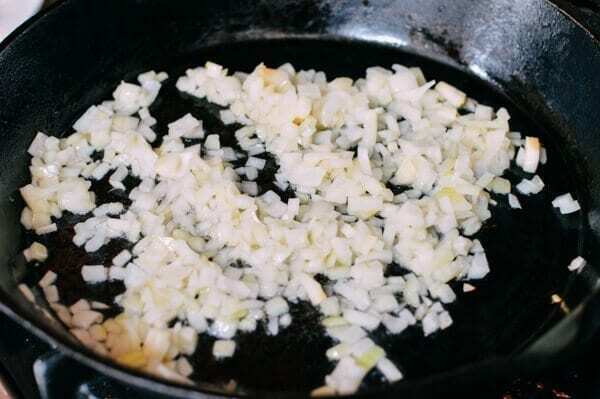 Feel free to add more oil if the mixture looks a bit dry. 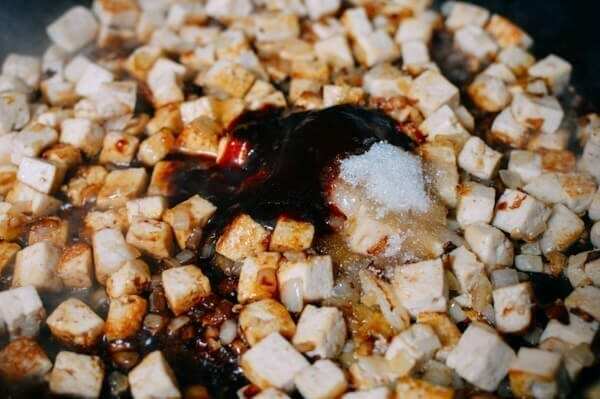 Add the soy sauces, sugar, salt, sesame oil, hoisin sauce, and white pepper. Stir everything together and then add the water/vegetable stock and flour. 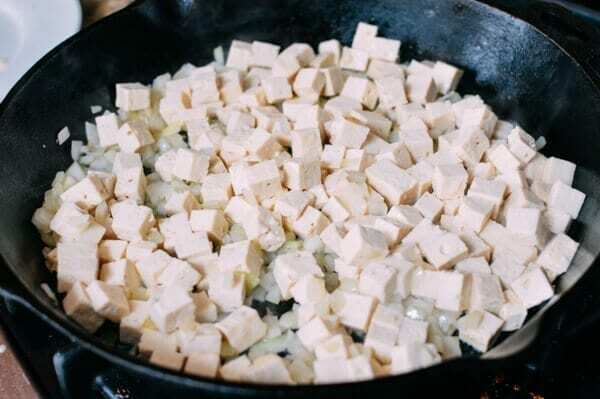 Stir gently so as not to break up the tofu chunks. Let the mixture simmer until the liquid thickens into a sauce. It should thicken further as it cools. Set the mixture aside to cool completely before making the buns. If the mixture looks a little wet, you can put it in the fridge to solidify it for easier assembly. 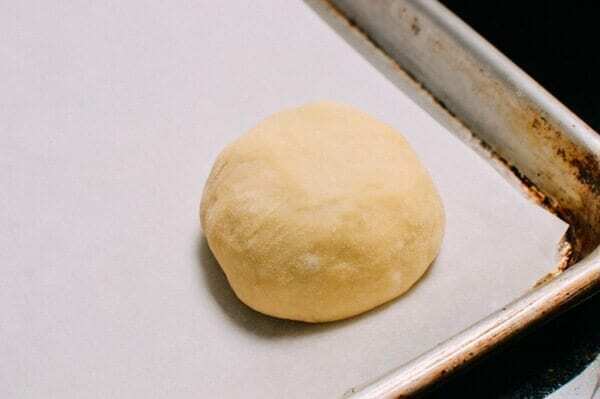 Once the dough has proofed for an hour, turn it out onto a well-floured surface and knead for another 2-3 minutes to ensure most of the air bubbles are gone. Add just enough flour so you can knead it, but be careful not to dry out the dough. Divide the dough into 10 equal pieces and cover with a damp towel. 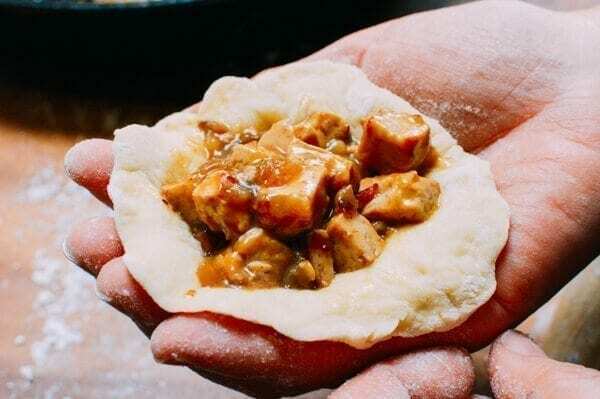 Roll out each dough ball into a disc, where the middle of the disc is a bit thicker than the sides. Put about 2 tablespoons of filling in the center and fold up the edges to close the bun. The dough is fairly elastic, so you can stretch it to cover the filling if needed. 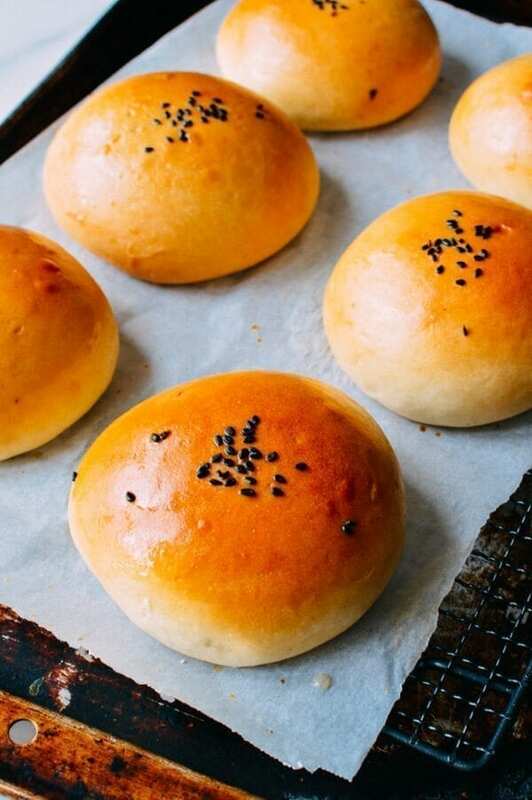 Check out our other cha siu bao recipe for more photos on bun folding. 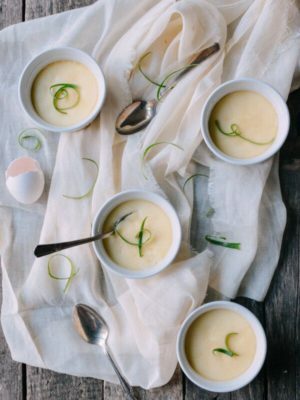 Be sure to pinch it closed, and place it seam side down on a parchment-lined baking sheet. Keep all the dough balls and the finished buns covered with damp towels until they’re all assembled. Let the buns sit for another 10 minutes while you preheat your oven to 375 degrees. Mix together the sugar and warm water and brush the mixture onto the buns. At this point, we sprinkled the buns with some black sesame seeds, but it’s not really a necessary step. Place the buns in the oven and immediately turn the temperature down to 350 degrees. Bake for 20-25 minutes, until golden. Brush the buns with the remaining sugar water when they come out of the oven. Serve warm! Tip: Store these buns in the refrigerator. When you’re ready to eat one, heat it up in the microwave for 15-30 seconds. 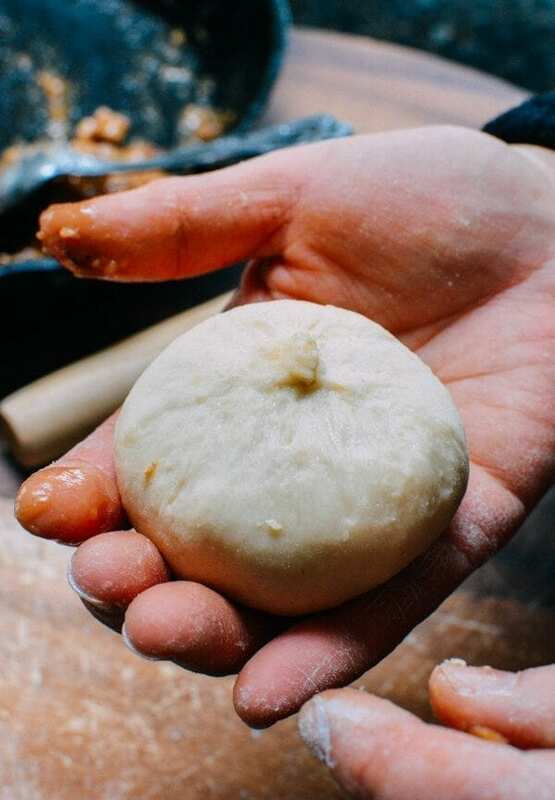 By the way, this vegan char siu bao dough is seriously good enough to use for our regular roast pork buns. 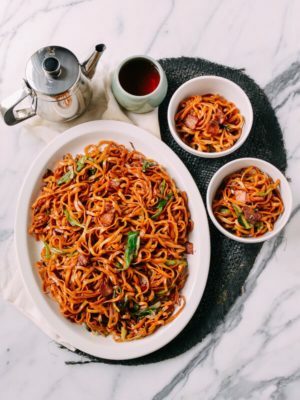 So check out our roast pork cha siu and roast pork cha siu bao recipes, and mix and match them for whatever version you want! 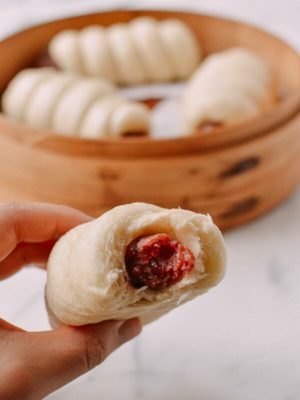 This vegan version of char siu bao, or Chinese roast pork buns, is so close to the original that you won't miss the meat or the dairy! 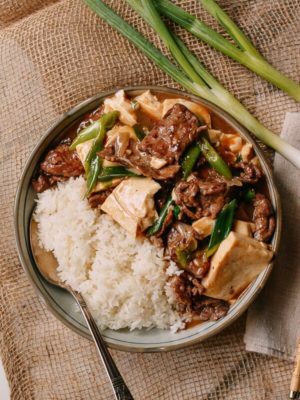 Whether you're a vegetarian, vegan or omnivore, check out this vegan car siu bao recipe. Start by making the dough. Add ½ cup warm water, 1 teaspoon active dry yeast and ⅓ cup flour to a large bowl, and mix well. Set aside in a warm place for 15 minutes until the mixture foams up. Mix the coconut oil into the foamy yeast mixture until you can’t see any solids and then mix in the remaining ½ cup of warm water. Add the last 2⅔ cups flour, vital wheat gluten, sugar, and salt. 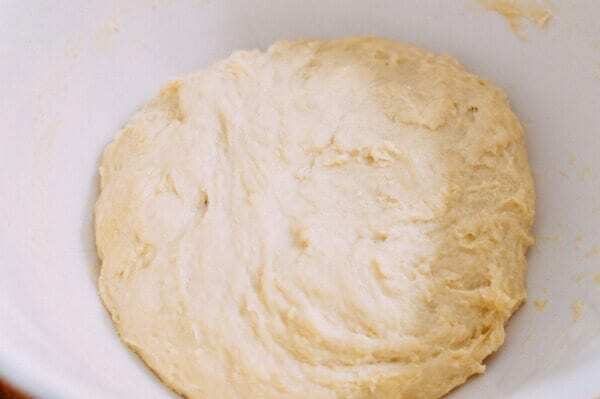 Mix in until a dough forms. Knead for 10 minutes. 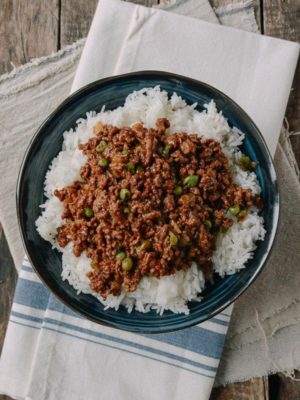 You can add some flour to make it easier to work with, but don't worry if it's a bit sticky. Cover with plastic wrap and let it proof for 1 hour. While that's happening, make the filling. 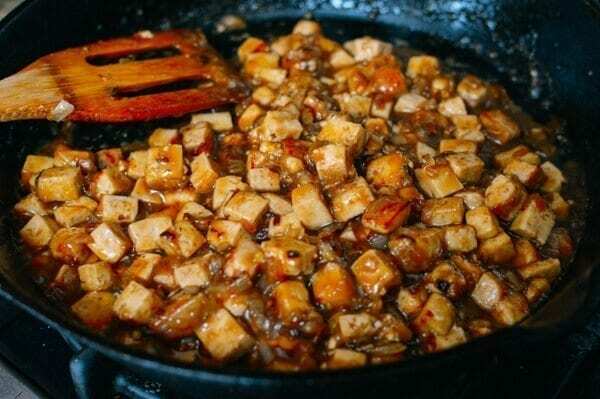 Heat your wok or cast iron pan over medium-high heat and add the oil, onions and tofu. 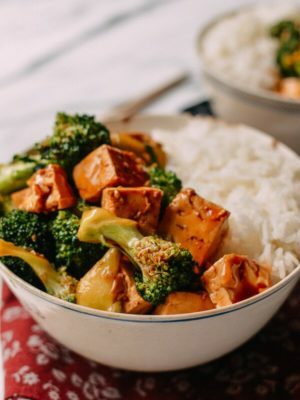 Cook for 3-5 minutes until one side of the tofu is just browned. Turn the mixture over with a rubber spatula and brown the other side. Feel free to add more oil if the mixture looks a bit dry. 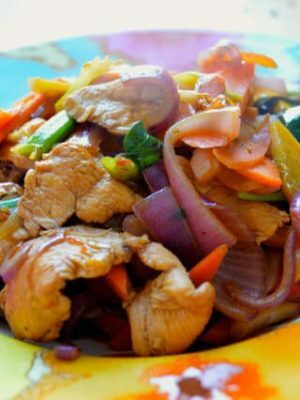 Add the soy sauces, sugar, salt, sesame oil, hoisin sauce, and white pepper. Stir everything together and then add the water/vegetable stock and flour. 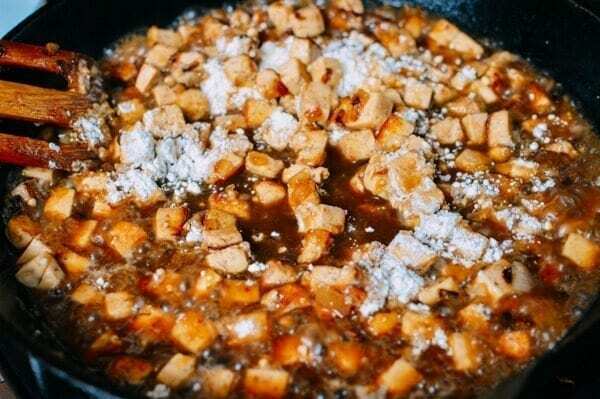 Stir gently so as not to break up the tofu chunks. Roll out each dough ball into a disc, where the middle of the disc is a bit thicker than the sides. Put about 2 tablespoons of filling in the center and fold up the edges to close the bun. The dough is fairly elastic, so you can stretch it to cover the filling if needed. 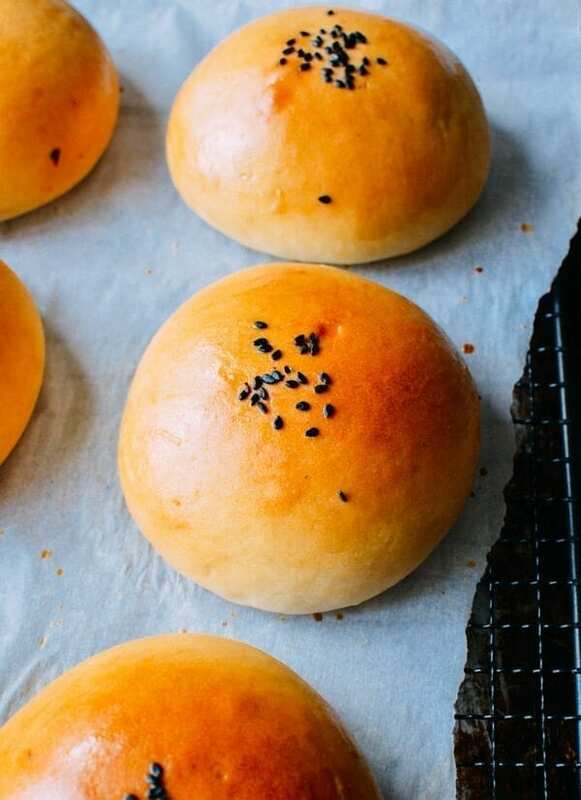 Check out our other char siu bao recipe for more photos on bun folding, Chinese BBQ Pork Buns (Cha Siu Bao. 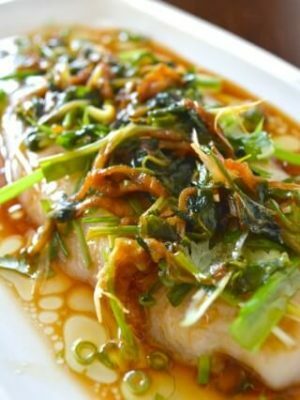 Be sure to pinch it closed, and place it seam side down on a parchment-lined baking sheet. Keep all the dough balls and the finished buns covered with damp towels until they're all assembled. Let the buns sit for another 10 minutes while you preheat your oven to 375 degrees. Mix together the sugar and warm water and brush the mixture onto the buns. Place the buns in the oven and immediately turn the temperature down to 350 degrees. Bake for 20-25 minutes, until golden. Brush the buns with the remaining sugar water when they come out of the oven. Serve warm! Tip: Store these buns in the refrigerator. 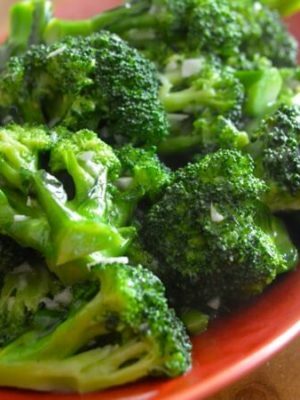 When you're ready to eat one, heat it up in the microwave for 15-30 seconds. 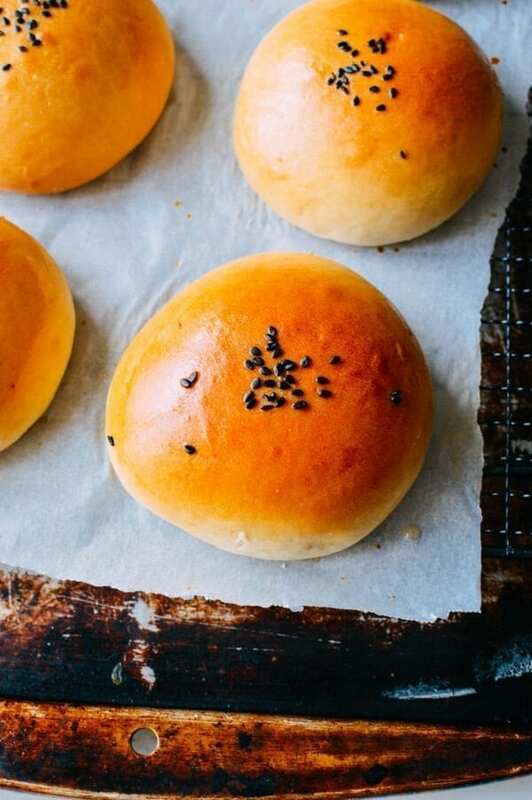 By the way, this dough is seriously good enough to use for our regular roast pork buns. 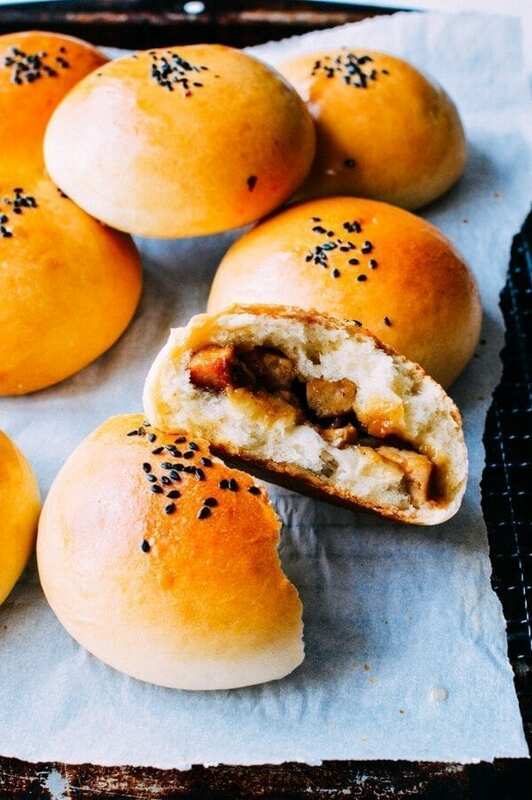 So check out our roast pork cha siu and roast pork cha siu bao recipes, and mix and match them for whatever version you want! Hi Lisa, I used coconut oil because it has a great flavor. Although I have not tried it, I think vegetable oil will work.